Home / Afghan Hound / Afghan Hound - What Amazing Breed! The Afghan hound is a medium to large dog ranges from 55 to 65 pounds and grow to between 24 and 29 inches long. This dog has long, glossy hair and seems to be both elegant and reserved and agile, they can run, frolic, and play with the best of the dogs. They Hinds comes in a variety of colors that including black, red, cream, brindle, and fawn. Fawn, Cream, and brindle, Afghans usually have a black mask on the face or on the fringe of ears. The AKC does not encourage white marking. In contrast to the long hair on its body, the Afghan hound has a long, thin tail that curls at the end and covers with short hair. Due to the long and thick hair, the Afghan Hound requires regular grooming. They are very lively and affectionate dogs. They get along well with children, other dogs, and pets, particularly those who they know from puppyhood. They do not always get along with cats, especially those that they are not familiar with. Some Afghan hound dogs can be more on the shy or stuck side, thus they are recommended for older or well-behaved children. The Afghan hound is a perfect dog for homes where the dog will get plenty of exercises, outdoor play, and where there is ample space to roam and explore. The breed is dated back over 5000 years ago. The breed is native to Afghanistan. It is a sighthound dog and was originally used for hunting, herding and as a watchdog. Due to its fast speed, it makes an excellent hunting animal to pursue game. It came to Europe and the United States only in the 1900s because its exportation was banned. The Afghan hound is now mainly used as a companion, hunting dog, and watchdog. This decent-looking dog is a faithful and loyal companion. They make a good guard dog and wonderful pet for an active family that enjoys exercise and play. If you choose Afghan hound then plan on a lifetime of love and enjoyment from your new buddy. 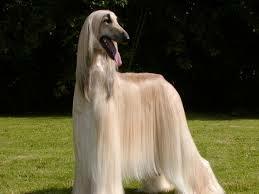 Given their magnificent coat and the length of their hair, grooming is apparently important for the Afghan hound dog. Leaving them un-groomed for a long time will make the grooming much harder when they are brushed. It is best to brush them every few days. While home grooming is always possible, if you want your dogs to look its best, then take them to a reliable dog salon for trimming. While the Afghan hound breed was originally a hunter and lived outside, it was in a temperate climate. Their hair is long and luxurious, but they seem to prefer warm rather than just not too cold. Afghan hound is not really suitable for outdoor living, I am sure you will quickly notice how they like a nice warm, soft bed. 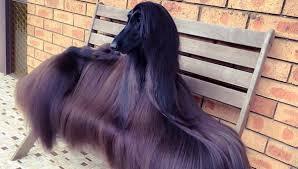 Afghan Hound - What Amazing Breed!